The next best thing to in-person training is online training you can watch and listen to at your convenience. Some like it better because there’s no travel involved and you can watch courses again and again until you learn the subject matter completely, or revisit topics as they become relevant in cases you’re working on. The cost to view the online webinars is $350. The course instructor charges more than that for just an hour of his time. You get a full 17-hours of practical examples and valuable planning techniques from one of the nation’s leading experts! To attend a course like this in-person would cost you thousands of dollars in travel time and expense, as well as course registration fees. 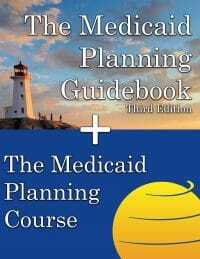 To order this course so you can start learning the important long-term care Medicaid Planning subject matter, please click the buy button on this page. 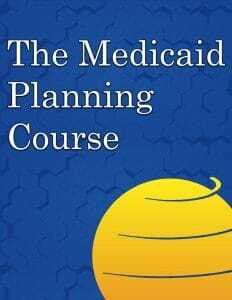 The course is geared to support the learning of EVERYONE involved with the long-term care financing system. This includes: elder law attorneys, senior financial planners, geriatric care managers, social workers, nursing home administrators, certified public accountants, paralegals, and funeral home directors. 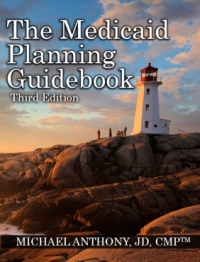 Jump start your Medicaid Planning practice or learn how to give better advice to clients facing long-term care issues. Whatever your goal is, this course will take you through Medicaid Planning from a basic understanding of how Medicaid works and why it works the way it does through the entire planning and application/approval process. There is even practical tips for advocates on how to win fair hearings and overcome denials — all from the master himself. The following are the titles of each webinar session.